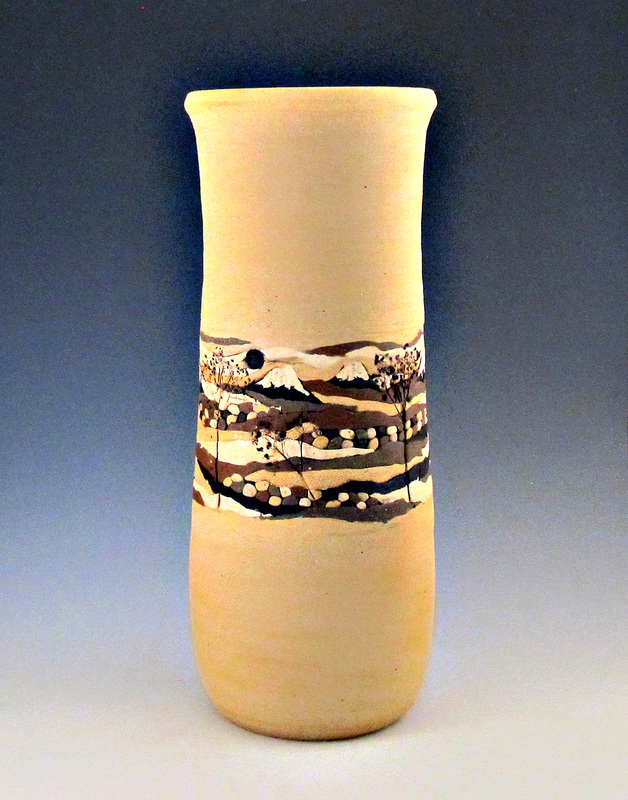 Landscape scene pottery is Mary's most unique style. 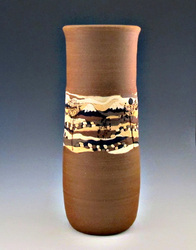 Colored stoneware clays are hand assembled to create the scenic design. 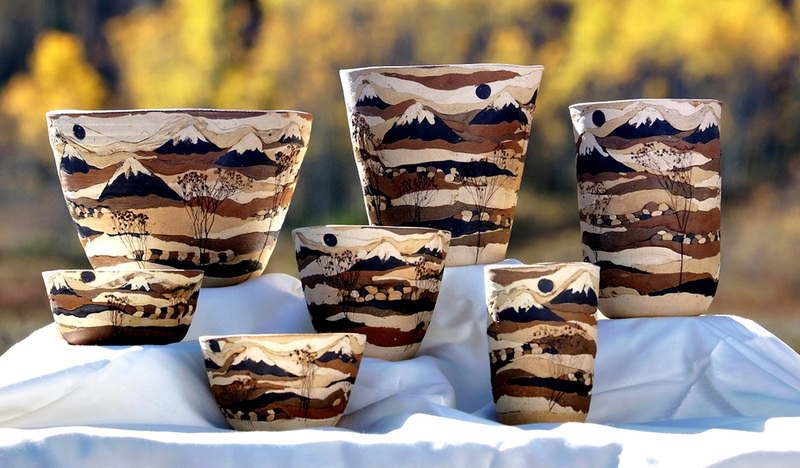 Each piece is one of a kind but includes elements depicting the stunning landscape of the Rocky Mountains. 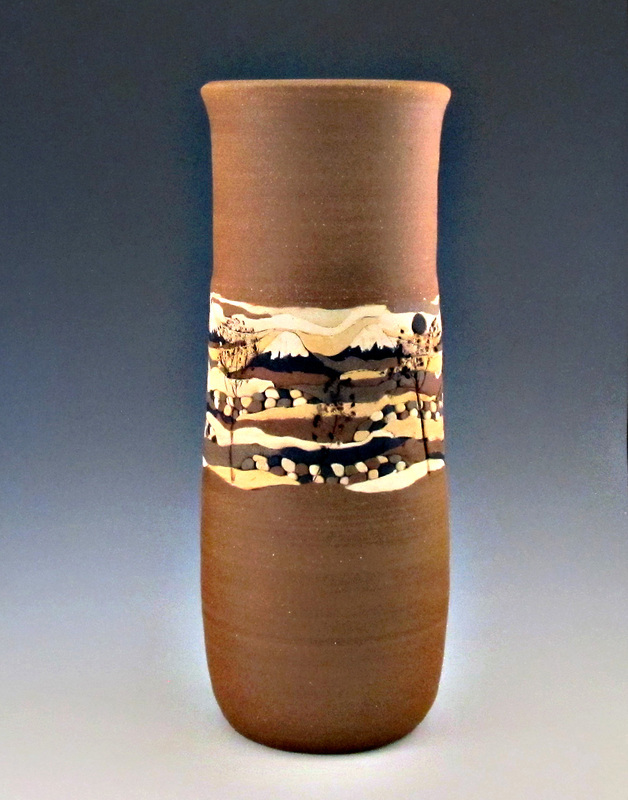 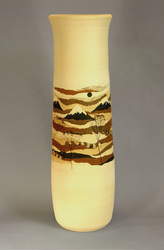 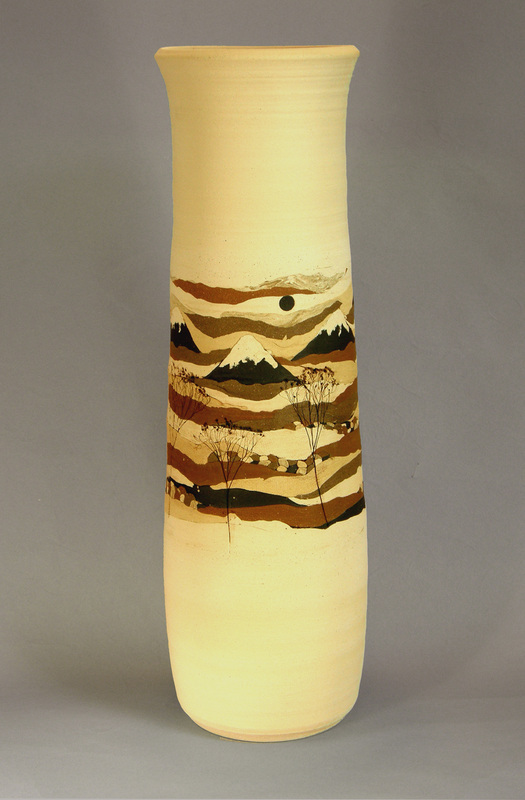 Landscape pottery is available in bowl, vase, and planter forms as well as stunning lamps and mantle or floor vases.